Through our Empowerment Program, GBTN’s strategic vision is to create a sustainable food source and income for the GBTN families. Sixty percent of our families have no income with the remaining earning less than $2 U.S. a day. Many of our families are composed of single mothers with multiple children and no income. Goals Beyond the Net developed our Goat Farming Project to meet this critical issue. Goat Farming encompasses both a food source and income. Goals Beyond the Net established three criteria to select appropriate families to participate in this project. The three criteria are; (1) education of the parents; (2) current economic conditions of the families; and (3) family structure and support system. Utilizing these criteria, GBTN developed an economic model, which ensured sustainability for our families in our program. 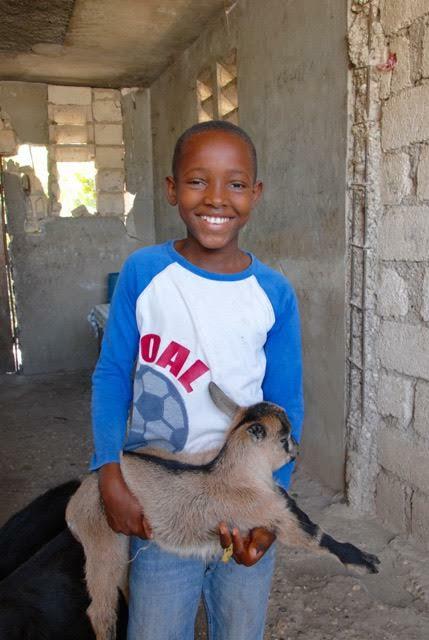 Goats are a commonly used farm animal in Haiti, are easily accessible, and are taken care of with limited resources. Goats are easily bred. GBTN developed an educational curriculum, which educates the families on the care of goats, the breeding of goats, and the long-term economic model for economic sustainability. The Community Outreach Director from the U.S. and the In-country Community Director meet with our Parent Committee, an advisory committee, to determine appropriate families for our project. These families work with the Directors to learn how to care for the goats, complete the educational program, and then sign a contract insuring the compliance of the terms of the project. Once the family has successfully fulfilled all the requirements of the program, the family receives a goat. An essential component of this Goat Project is that the family recognizes and abides by the concept that GBTN/JUFC is a community with each family having community responsibilities. 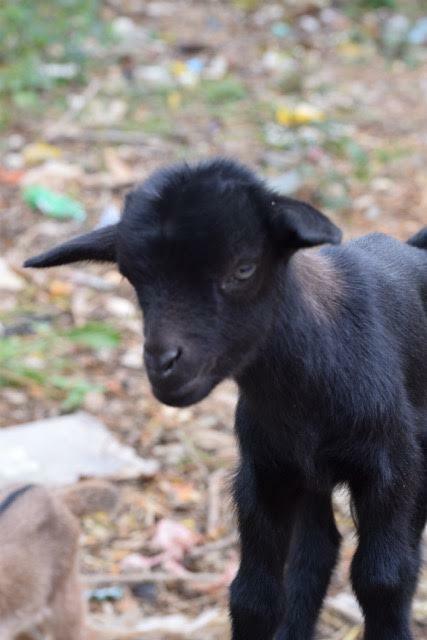 After the family’s goat has reproduced, the family is required to give the first-born goat to GBTN. This policy reinforces the GBTN philosophy that the family has been given a gift, yet must give back to GBTN to support the program. The family keeps the second goat born. The third-born goat is given to another family in GBTN who has completed the educational component of the Goat Project and signed a contract. This policy reinforces our philosophy that the families are part of a community and have a responsibility to support one another. The fourth-born goat and all subsequent goats born are kept by the family, with the family eligible to start butchering after they have two adult females bearing goats. GBTN has a full-time veterinarian on staff who visits the families and their goats weekly, administers all vaccines, and is on-call 24 hours a day for all emergency care. The veterinarian is responsible for giving the family consent to butch the goat. The families involved in the Goat Project must recognize the long-term financial gains if compliant with the program model. This economic model projects that within ten years 100% of the GBTN families will have a sustainable source of income and nutrition through the goat program.